Lafayette Youth Soccer Association is proud to be the recognized soccer program for Lafayette Consolidated Government and Lafayette Parish. Through this partnership, LCG and LYSA have been able to offer quality soccer facilities and programming across the Acadiana region since 1978. LYSA has developed quality soccer programming for players of all ages. Offerings include quality recreational programs, intensive high level competitive programs, and adult leagues for men and women age 18 and up. LCG has developed and maintains 20 plus fields at Moore Park and surrounding community parks and has dedicated maintenance and development resources to the growth of soccer. With over 3,500 members, LYSA and LCG are the community leaders for soccer expansion in Lafayette Parish and the surrounding areas. In 1978, Lafayette Youth Soccer Association began to provide recreational soccer programs for boys and girls ages 3 - 18. We offer fall and spring soccer seasons along with winter and summer training programs and camps. Since 1978 our program has grown to over 3,500 members, becoming one of the largest and most professionally run soccer programs in Louisiana. 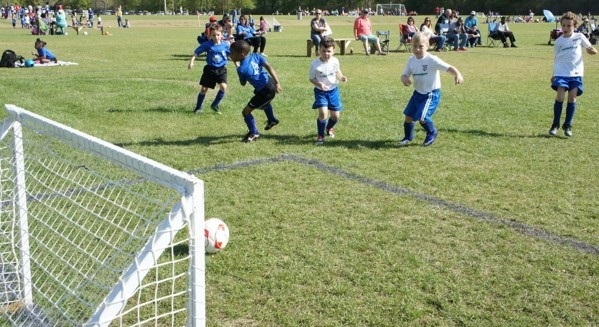 LYSA offers all levels of play and is a full service soccer club. Many players who are interested in trying out for competitive teams begin their training by building a solid foundation in our recreational program. Players 4U through 19U are registered through the Louisiana Soccer Association. The fall season runs from September to November, with registration held in the summer. The spring season runs from February to April, with registration held in December and January. Teams are formed by DOB and zip code and are coached by volunteer coaches that are provided with coaching clinics, licensing, structured lessons plans and assistance on the field from LYSA Staff. We strive to create balanced teams for competitive play. LYSA, along with the volunteer coaches have the responsibility to adopt the highest standard of sportsmanship and ethical conduct. Youth soccer is a fantastic way for children to have fun and develop relationships with others their own age, as well as with adults. We must create an atmosphere where every player has the opportunity to have that experience and be successful. The activities we run will aid the learning process and provide enjoyment for the players. They will allow players to learn as they play, and our staff will support them during their participation.